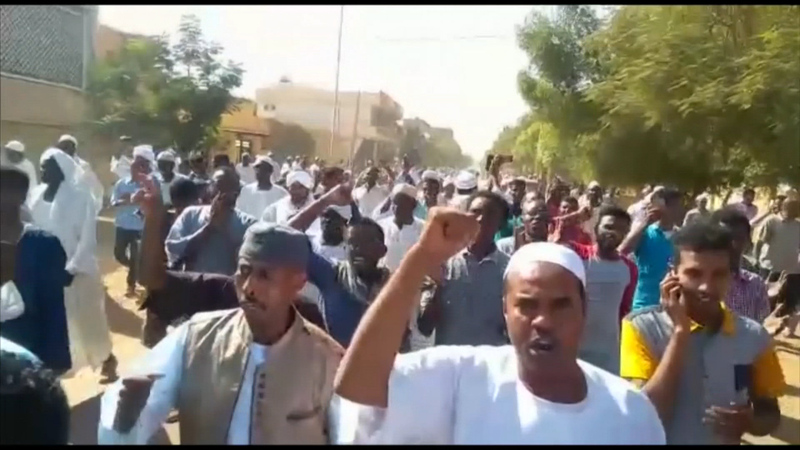 The Sudanese opposition leader is under arrest – amid a crackdown on anti-government protests held across the country. Security forces fired shots into the air last night to disperse crowds in the capital, Khartoum – as demonstrations against President al-Bashir continued for a tenth day in a row. Amnesty International said at least 37 people have been killed and hundreds injured. From Khartoum, Yousra Elbagir reports – and we should warn you there are some images of violence.